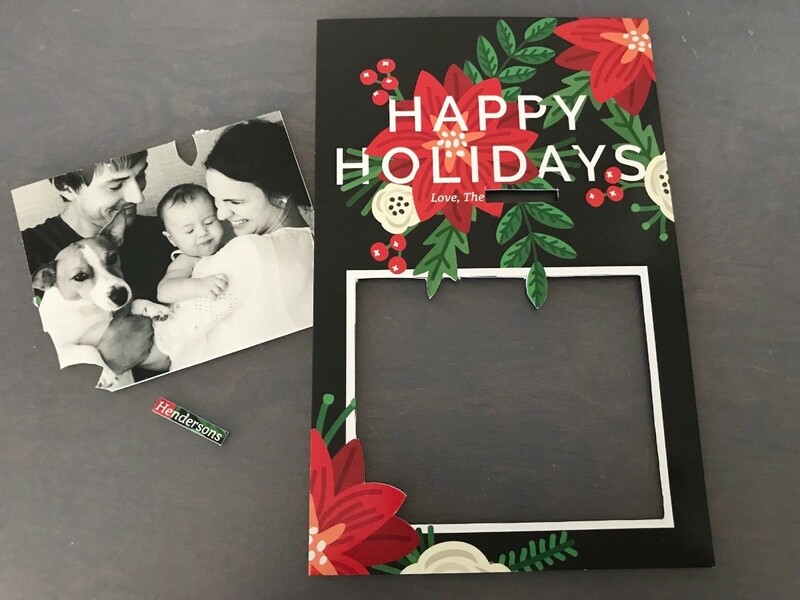 If you get sample greeting cards in the mail, upcycle them into beautiful holiday frames or other decorations. 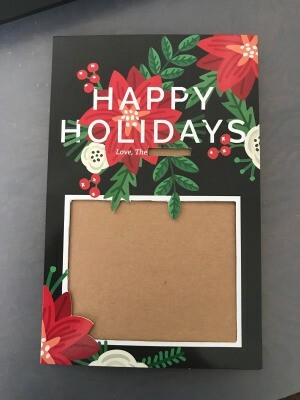 This is a guide about repurposing free sample holiday cards. 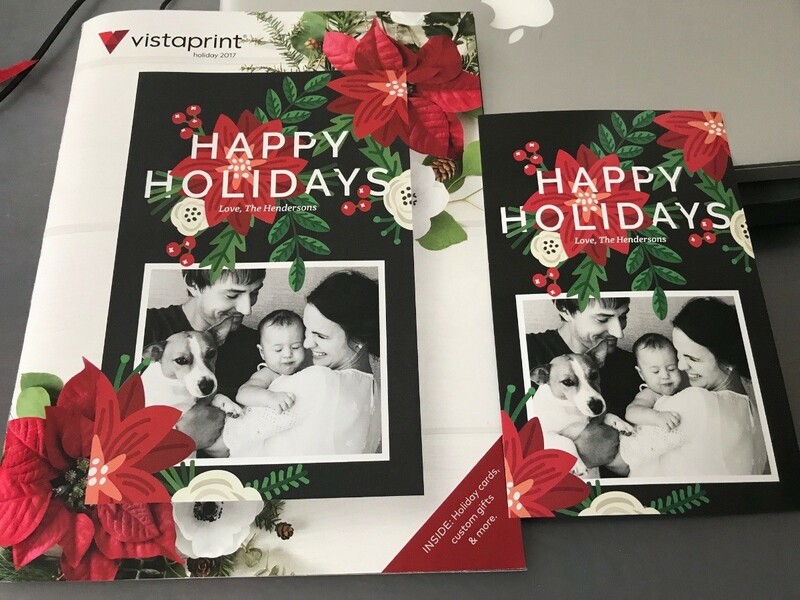 I received a Vista Print Holiday Catalog and they are advertising their holiday cards as well as other services they sell. Included was a sample holiday card. It was so pretty and you could totally repurpose it and it'll be a waste to toss in the trash! 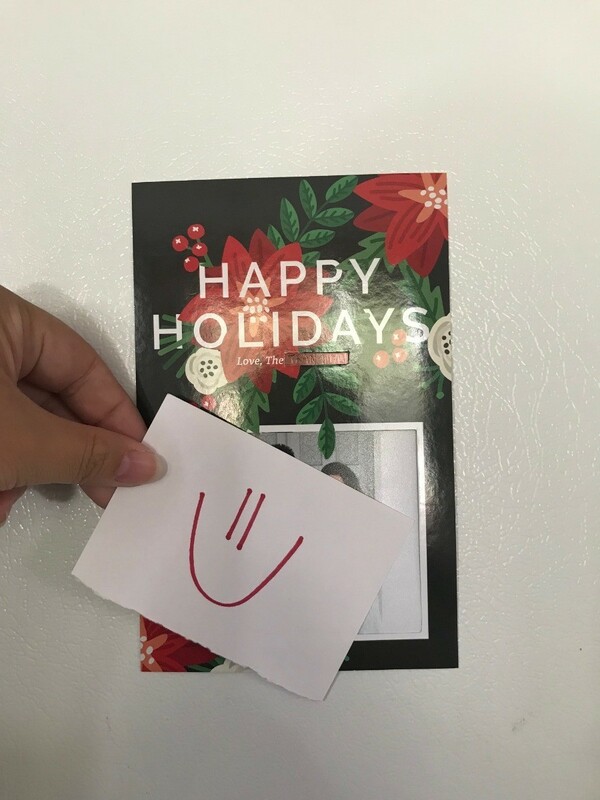 I turned the holiday card into my own and added a magnet to hang the card on the fridge! During the holidays, companies sent nice catalogs (or quality advertisements that I will try to keep and repurpose). Using an exacto knife carefully cut around the photo (to replace with yours). I also cut out the name of the family. Measure your photo and cut to fit the card. 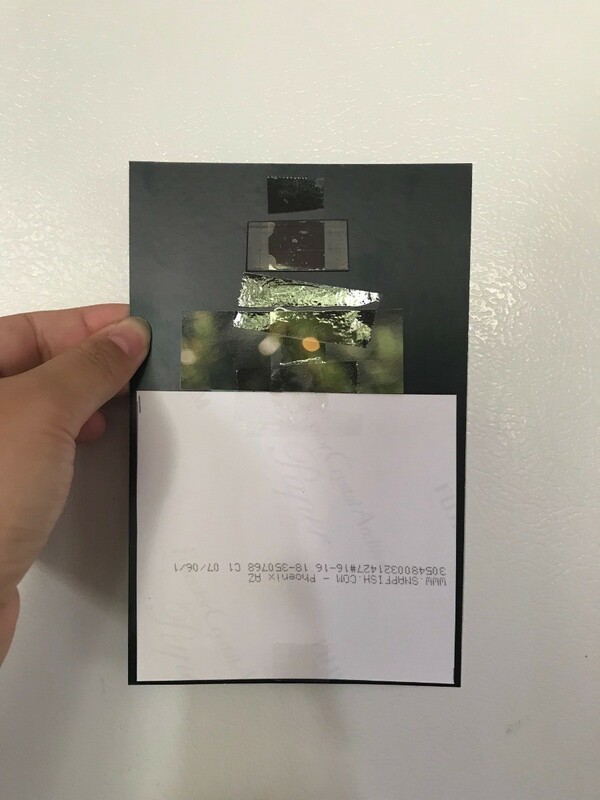 Secure your photo with tape. Fill in your name with a Sharpie and then tape a magnetic strip on the back so you can hang your card on the fridge!